Vote forCoffs Harbour, NSWTop Regional Destinations Which are Australia's must-visit destinations? You help us decide. Coffs Harbour and its surrounding Coffs Coast region has long been a hugely popular place to visit due to its position as a fairly central “midway-point” between both Brisbane and Sydney. It's far more than just a stopover destination however, as its coastal location coupled with a huge amount of adjacent greenery make for a highly viable holiday spot in its own right. Why it's special: Home to lush hinterland, picturesque scenic drives, a gorgeous coastline and, of course, a Big Banana, Coffs Harbour is a must-see haven between Sydney and Brisbane. While it's doubtlessly most famous nationally for its local regional icon the “Big Banana” at Coffs Harbour, the Coffs Coast as a whole has plenty more to offer that spans a mixture of wonderful, lush hinterland areas, incredible national parks, and picturesque scenic drives in addition to its signature gorgeous coastline. Amazing views of the blue of the Pacific Ocean can be had throughout much of the region, while it serves as a renowned whale watching destination to boot during the gentle giants' migratory season to boot. Beaches are a major calling card for visitors planning a visit to the Coffs region, and as a result all of the associated marine activities - think fishing, kayaking, boating and swimming - are a strong focus, as this part of Australia boasts over 90 kilometres worth of golden sands on which to indulge all your aquatic leanings. From the Coffs Harbour jetty all the way down to Hungry Head, each beach offers its own individual benefits, from family-friendly swimming conditions to great spots for a surf. On land, meanwhile, the Coffs region does not disappoint, either; most first-time visitors will make the Big Banana their first port of call, as its complex has expanded since to include a surrounding plantation, shop, cafe, and even an amusement/water park in the modern day. Those in search of a quality wildlife encounter that brings scenery along with it can make the walk along the jetty to Muttonbird Island Nature Reserve, where its signature colony of muttonbirds and a wonderful panorama of Coffs Harbour can be found. Those willing to head further can hop in the car and embark on a beautiful and under-recognised scenic drive in Waterfall Way that stretches all the way through to Armidale and along which a series of spectacular falls can be seen. Alternatively, make a 1 hour drive and head into the exceptionally beautiful national park of Dorrigo, home to extensive bird life and yet more stunning waterfall goodness. Looking to pay a visit to Coffs Harbour but not sure what to do? Here are a few of its most essential experiences. What's new in Coffs Harbour in 2017/2018? Coffs Harbour was voted one of Australia's leading events destinations, receiving the International Festivals & Events Association (IFEA) 2017 World Festival and Event City Award. Approval for a $13 million upgrade to the C.ex Coffs International Stadium was granted with an aim to help bring communities together. Need more info on Coffs Harbour? Check out our detailed travel features on this top spot below. A popular stopover spot for travellers driving between Brisbane and Sydney, Coffs Harbour has grown into an excellent standalone coastal destination. Read on below to find out more! 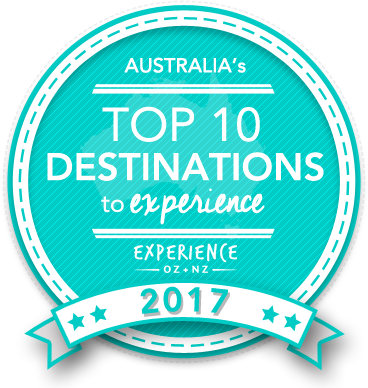 Is Coffs Harbour Australia's Top Regional Destination to Experience for 2017? Vote now for the chance to WIN an epic trip to one of Australia's top destinations!